Cryogenic Ltd. is the world leader in helium free magnet technology and has been successfully delivering this technology for over 30 years. The Cryogen Free technology allows magnets with a wide range of fields and dimensions to be built, without the need of liquid cryogens. Magnetic fields up to 18T are supplied for general research purposes as well as for industrial applications, all using the same method of refrigeration. The cooling for the magnet is provided by a standard cryocooler with a base temperature of approximately 6K. In particular very large volumes of medium strength magnetic fields can be produced. For instance, a magnet with a working volume of 750mm diameter by 1 meter length and a field of 0.5 Tesla has already been produced. In contrast small bore (typically 50mm) magnets can be produced to generate very strong fields up to and exceeding 18T. Low operating costs as expensive liquid cryogens are not required for cool down. Ease of use as specialist knowledge is not required to operate the system. Simply switch on the cryogenerator, wait for it to reach operating temperature and the system is ready to use. Fast Ramping Capability is achieved by using a thermal reservoir to extract excess heat generated by flux flow in the superconductor while sweeping the field up and down. Rotation of the magnet is possible when mounted on a special frame, allowing the magnet to work in any orientation even while it is at field. Easy access to the field centre is possible as without the liquid reservoirs the magnet enclosure is very small. Low maintenance as there are no liquid reservoirs surrounding the magnet to cause leakage problems. Cryogenic Ltd is offering a state-of-the-art system that provides simultaneous controlled cooling of both the samle and the magnet using a single cryocooler with good all round performance. 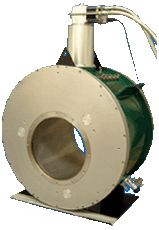 Most cryogen free magnets are built with room temperature access to the high field space. 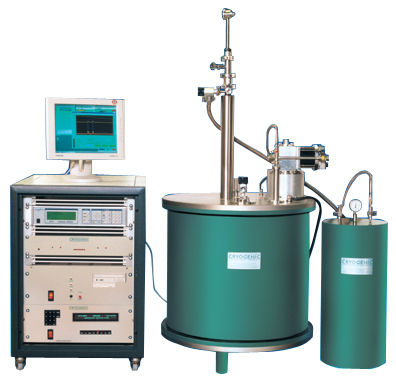 Any requirement for sample measurement at low temperature means the purchase of an additional cryostat for installation in the magnet bore. This is no longer necessary with the new integrated system. 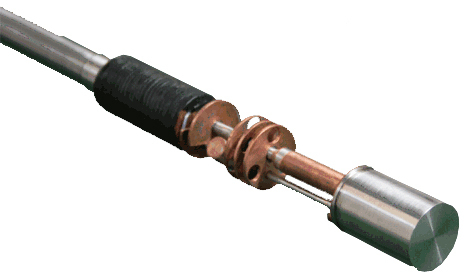 The Variable Temperaure Insert (containing the sample) is built into the bore of the CFM, thus providing both variable temperature and magnetic field environments for the sample using a single cryocooler. For optical, neutron and particle beam experiments, Cryogenic offers a range of split pair magnets. These are of standard design and allow strong magnetic fields to be produced in a small volume with maximum access to the working space. Split pair coils can be mounted to provide either a vertical field with horizontal access or a horizontal field offering horizontal or vertical access. Large windows in the support structure between the coils allow access to the sample. This configuration forms the basis of the Cryogenic Optimag series of split pair magnet systems. For other applications a thin walled aluminium former and aluminium windows will allow transmission of the beam. For experiments with an external magnet such as an electromagnet, pulse field magnet, cryogen free magnet or without a magnet at all, Cryogenic produces a small Varitemp cryostat. These cryostats have a helium reservoir of 7 or 15 litres and a built-in VTI which extends into a small tail below the cryostat. Some Varitemp cryostats are provided with optical windows and make a convenient and low cost way of carrying out experiments at low temperatures down to 1.6K. Cryogenic offers a + 16 Tesla 5ppm magnet with a large room temperature bore. The magnet is permanently fitted with leads and a superconductivity switch for persistent mode operation. ESR measurement systems require high homogeneity, which can be maintained over a wide range of fields. Experiments are performed at fixed frequency and the spectrum is obtained by sweeping the magnetic field. This requires the field to be stable in spatial homogeneity and change steadily and repeatedly over time. As the spectra can vary considerably in width it is essential to be able to control the magnet current and therefore the field accurately over a wide range of field with sufficient precision to see narrow resonance's. With a cryogen free system it is not necessary to reduce helium consumption, as there is no liquid helium to evaporate. Instead it is merely required to have accurate and smooth ramping of the magnet current. 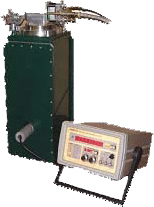 With the Cryogenic power supply it is possible to set and measure the current accurately and perform sweeps by maintaining and regulating a small levitate across the inductance of the magnet. The magnet is made from NbTi and NbSn superconductors with truly superconducting joints to provide good persistent mode performance. A single magnet power supply is provided for the magnet. The ramp rates available are from approximately 10-8 to 10-3 per second of full value. A single current transducer is supplied to measure the current to 1pppm and output the result to the computer on the IEEE bus. A control computer is used to control the magnet field and to drive the temperature controller using the GPIB interface. CF He-3 Inserts for use in Cryogen Free Variable Temperature Inserts. 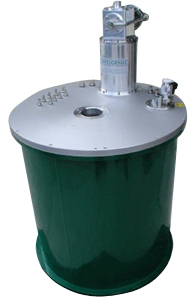 The Cryogenic range of Helium-Three inserts is designed as an alternative to the standard sample probe. The inserts can extend the range of experimental temperatures accessible in a Cryogen-Free variable temperature sample space beyond the standard 1.6K-300K. Using only the cooling power of the VTI and two internal temperature-controlled sorption pumps, the sample platform of the Helium-Three Insert can be maintained at any temperature from below 300mK to above 300K. There are three inserts in the range: A 28mm insert to fit 30mm VTIs, a 22mm insert for 24mm VTIs and a special 16mm insert designed to fit the sample space of the Cryogenic S600 and S700 SQUID magnetometers. These inserts have working volumes of liquid 3He of 2cc, 1.5cc, and 0.9cc respectively. Cryogenic have built a miniature cryogen free magnet with 5 ppm uniformity at fields of 2.5 Tesla and 10-7 in persistent mode. The magnet is cooled by a small refrigerator to 3K without the use of liquid helium. The overall dimensions of the cryostat are 260mm x 240mm x 540mm. The workspace is a bore of 51mm but other sizes are practical in the same geometry. For the lower field the system is designed to run with a 1 killowatt air-cooled single-phase compressor making the magnet easy to use by non-specialists and to transport between locations. The magnet is intended for use in ESR as well as low field NMR experiments. It is thought to be the smallest high field superconducting NMR magnet yet built. The magnet operates in vacuum and there is no requirement for any liquid cryogens. The current for the magnet is set at 30 amps. A resistive lead extends from room temperature to the 1st stage of the cooler. The heat load from the current leads is about 1.5 watts. The 1st stage operates close to 50K, which is well below the transition temperature of BISCO high temperature superconductors, which are used to carry the current from the 50K stage to the 4K stage. These impose a heat load of 25 milliwatt on the 4K stage to which the magnet is attached. Cryogenic Ltd. makes customised cryogen free magnets for specific and industrial applications. The company is well placed to help customers plan new projects involving magnets and low temperatures. The company designs and builds tailor-made systems for many applications. Recent projects have involved magnets for nuclear research, mineral separation, magnets for MRI and other medical applications. Illustrated is one of the larger horizontal magnet field systems, a 6 Tesla 600mm room temperature bore cryomagnet.